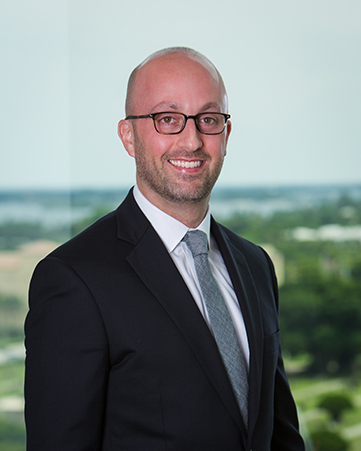 Matt Chait is a partner in the Business Litigation Practice Group in the firm’s West Palm Beach office. Matt focuses his practice on commercial real estate litigation, creditors’ rights litigation, and general commercial litigation, including partnership and LLC disputes, healthcare, business fraud, deceptive trade practices, and complex judgment domestication issues. A Martindale-Hubbell AV® Preeminent™ rated commercial litigator, Matt has been recognized by the Daily Business Review as a top 40 attorney under 40 and as a Rising Star by Florida Super Lawyers. He is co-founder and co-editor of the Commercial Real Estate Litigation blog. Prior to joining the firm, Matt practiced law in New York. He served as an intern in the United States Court of Appeals for the Second Circuit and for United States District Judge Richard Conway Casey in the Southern District of New York. Outside of the office, Matt devotes substantial time to the community. He serves on the Board of Directors of Resource Depot, a non-profit organization that collects and distributes reusable materials to the arts and education community, and as a Trustee of the Chamber of Commerce of the Palm Beaches. Matt is a graduate of Leadership Palm Beach County.